Alright, thats the longest title ever. I have been trying to create a "perfect article" and with a trip coming up tomorrow, I just need to get the information out there. An infiltrator of ENENEWS was masquerading as a real participant. This infiltrator was also responsible for bringing false charges of "Stalking" against Dana Durnford, an anti-nuclear activist who devoted his life to documenting the ocean condition and protecting the ocean that he loves. The false charges could have put Mr. Durnford in jail for 20 years. This in itself is a crime. 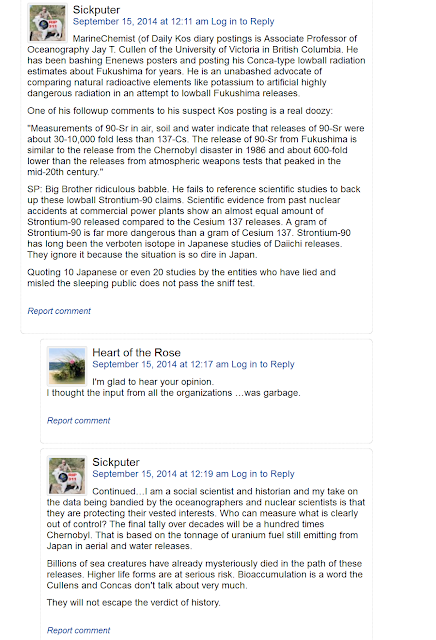 This infiltrator is paid by the nuclear industry to downplay the damages of radiation and in particular Fukushima. This is quite easy, being that this same infiltrator is complaining about not having enough funds, and the Nuclear Cartel devotes up to $1.4B per year to "advance their industry". Who is this criminal who accepts money from nuclear interests, and then brings serious false charges against a well known Youtube Antinuclear Activist, and then participates at ENENEWS to infiltrate and disseminate lies, create confusion. 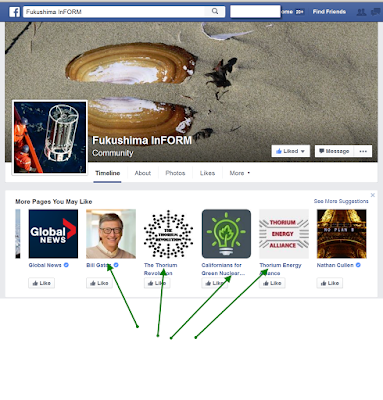 One of Cullen's Pages is Fukushima Inform, through Facebooks links and sources, note the other pages which I may "also like". Very informative methinks. Busted dead to rights methinks. 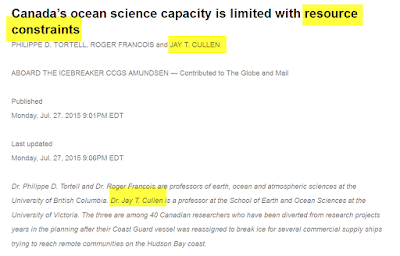 Stock, great job exposing this Jay Cullen pro nuclear shill. Cullen and his kind shall burn in Hell for eternity. Ya feels good to be Cullen him, get it? There is nothing trollish about Marine Chemist's reply. It wasn't a flame. Are you saying 3e-16 g/L is inaccurate? You didnt even discuss his analysis. You just dismissed him as a troll. Me thinks you want to protect Enenews exclusively for antinukes when sites like Rod Adams' is open to all. Anytime a population does that they behave as though they are threatened by those that challenge the status quo. Does Ene want to be lumped in with other closed minded homogeneous thinking blogs. Stifling free speech is hardly the sign of free thinking and independence. Irony. My interest is grassroots education not grassroots mumbo jumbo ala Ene or Fairewinds. Its a pro nuke circle kumbaya, and thats it.